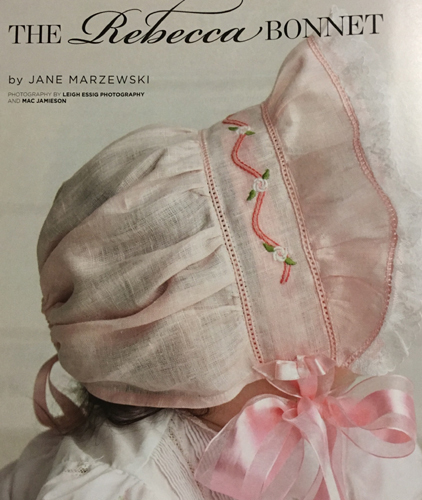 The Rebbeca Bonnet as seen in the Spring 2019 issue of Classic Sewing magazine. Four designs for the bonnet are available here. One design and the pattern are available for subscribers to the magazine.